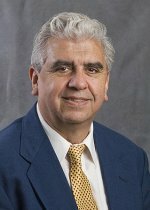 Congratulations to César Izaurralde, who recently accepted an invitation to be an editorial board member of new peer-review scientific journal called "Advances in Climate Change Research," sponsored by the National Climate Center and supervised by the China Meteorological Administration. A soil scientist with more than 30 years of research experience in agronomy, soil science, and ecosystem modeling, Izaurralde's expertise and research is critical to a greater understanding of anthropogenic climate change, one of the central scientific and political issues of the 21st century. This new quarterly journal seeks to improve the scientific understanding of adaptation and mitigation policy making; enhance the implementation of scientific research in socio-economic sustainable development; and enhance international cooperation and negotiations regarding climate change.